Entrepreneur and investor Chris Yeh (MBA 2000) and Reid Hoffman, cofounder of LinkedIn and a partner at Greylock Partners, have been fixtures in Silicon Valley since the early days of the commercial internet. Firsthand witnesses to massive successes such as Facebook and Airbnb, they wanted to know how some companies could grow so big so fast. “The answers we got were unsatisfying,” Yeh says. People cited the Valley’s concentration of smarts or its access to venture capital—which is useful for growing companies, “but it doesn’t explain everything.” So the pair interviewed hundreds of CEOs and entrepreneurs to strip away the differences between startups that grow into multibillion-dollar enterprises and those that disappear altogether. 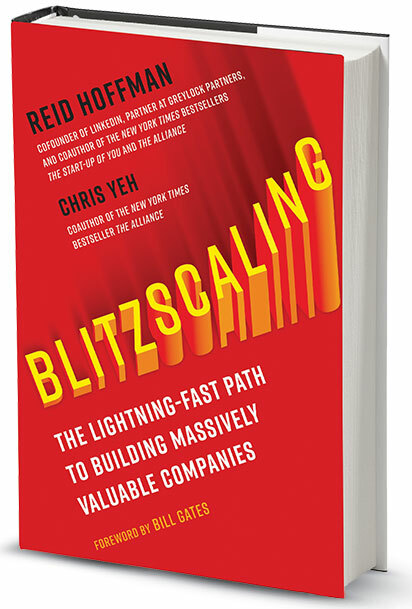 Here, Yeh talks about the techniques outlined in their new book, Blitzscaling: The Lightning-Fast Path to Building Massively Valuable Companies. “Blitzscaling” is a set of techniques to scale up in a massive and urgent manner. Why is speed so critical? The key insight for blitzscaling is that there is a time when the best way to win is to prioritize speed over efficiency despite the uncertainty you face. The reason why that works and produces great results in some cases is that when there’s a winner-take-all or a winner-take-most market, the first company to achieve critical scale becomes the enduring market leader. It ends up becoming what we call a Glengarry Glen Ross market, where first prize is a Cadillac Eldorado, second prize is a set of steak knives, and third prize is you’re fired. In these markets, the most important thing is to be first, to win that Cadillac. If you’re not that leader, there’s little room to build a great business. If someone were to build a new search engine right now, for example, it would be difficult: Google is the clear leader, at least in the English-speaking world, and being second just isn’t that interesting. This is not to say there couldn’t still be a decent business. DuckDuckGo is a search engine that emphasizes privacy and is actually a good business—it’s just not enormous. Not every business has to be gigantic, of course. But if that is your goal, you need to be first to reach scale. How can established companies apply these techniques? Every established company needs to blitzscale new businesses and be able to grow the businesses of the future that will keep that company a market leader. If you look at many of the great companies in the world they’ve gone through this process of transformation: Nintendo began as a playing-card company. American Express was a package-delivery company. Nokia was a paper mill. The ideas of blitzscaling are still relevant for established companies. You aren’t going to apply them to your core business that’s growing at 10 percent a year, but you could apply them to that area that is small but growing quickly with the potential to be the leader in a new market. It doesn’t have to be a technique just for tech startups. It’s where we’ve seen the most applications to date, but at its heart blitzscaling is a technique for achieving greater speed. Whenever speed is the primary competitive differentiator, these techniques can be helpful. 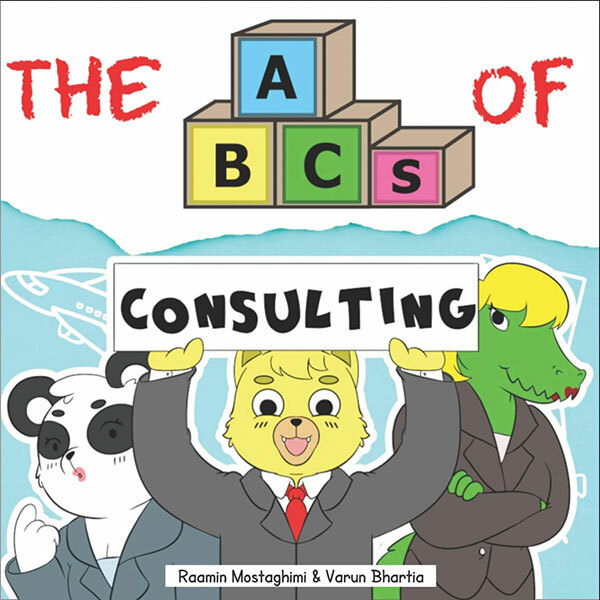 It’s never too soon to start preparing for your first client meeting: That’s the philosophy behind The ABCs of Consulting, one of a series of children’s books by Varun Bhartia and Raamin Mostaghimi (both MBA 2014). The book gives early readers insight into how to add value and avoid checked luggage, plus lessons on the language they’ll need to manage up: When a partner asks for 15 hours of work in the next hour, for example, “P is for push back.” Other books in the tongue-in-cheek series cover the ABCs of investment banking, product management, and compound interest.